According to the Brewer’s Association there were over 6,000 craft breweries operating in the United States at the end of 2017. In an increasingly crowded market, how do you ensure that the craft beer consumer is able to distinguish your brewery from your competitors? You should begin by identifying your trademarks. 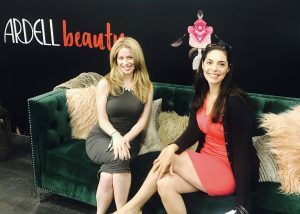 A trademark is any word, phrase, symbol or design that uniquely identifies the source of one company’s goods from those of other companies. While the law in the United States recognizes a broad range of “source identifiers” as trademarks, most companies focus their intellectual property protection efforts on brand names, slogans and logos. Especially at the early stages of your business, it is important to focus your protection efforts on the essential elements of your brand. For example, your brewery may have a dozen regular varieties of beer, plus several small release or seasonal brews throughout the year. Seeking trademark registrations for each of your beers may quickly deplete your legal budget, and so a more focused approach is usually the best course of action. For most breweries, their primary protection efforts should focus first on their brewery name and logos, and then on the names of one or two of their flagship beers. In the United States, a brewery’s trademark rights arise at the time it starts using the mark in commerce. This means that the first person to begin using a trademark in connection with the sale of beer owns that mark, and may be able to prevent others from using confusingly similar marks on beer and beer-related goods and services. That is, a registration with the United States Patent and Trademark Office (USPTO) is not necessary to own a trademark. However, these “common law” rights are limited in that they can only be applied to the geographic area in which you are selling your beer. Any business that is serious about protecting its brand should seriously consider applying for registration of the essential names and logos. (10) Granting you the right to use the ® symbol in connection with your beer, further putting your competitors on notice of your trademark rights. Even if you’re in the planning process, and have not begun selling your beer yet, you may apply on an “intent-to-use” basis, meaning that you have concrete plans to begin using your mark in connection with the sale of beer. An intent-to-use application allows you to claim priority over other companies who might begin using your mark or a confusingly similar mark in the period between your application date and the date you start actually using the mark. Keep in mind that you may not be able to establish exclusive trademark rights in a mark that is generic or descriptive of your products. For example, if you’re selling an IPA called “Hoppy IPA,” you will likely be unable to stop other breweries from using the name “Hoppy” in connection with their hop-forward beers. The “Hoppy” mark would be deemed descriptive because it describes a characteristic of the beer. The only way to establish trademark rights in a descriptive mark is to show that consumers associate the mark with your company. In the “Hoppy IPA” example, that means that consumers who hear “Hoppy” would need to immediately connect that term with your brewery. On the other hand, you can reference a characteristic of your beer with a suggestive mark that requires consumers to use some imagination to connect your mark to the product. For example, consider Deschutes’ “Fresh Squeezed” mark for their IPA brewed with Citra hops, which alludes to the citrus notes in their beer. Stronger still are arbitrary names that have no direct connection to your beer or its characteristics (think “Stone Brewing” or “Rogue Ales”) or fanciful names you made up that have no literal meaning (like “Mikkeller” or “CANarchy”). Stay tuned for Part Two of our brewery-focused trademark posts, in which we will discuss considerations regarding coexistence agreements. Conkle, Kremer and Engel has assisted its clients in securing and protecting their trademarks for over thirty years. Whether you’re in the planning stages or already operating your brewery, contact Zachary Page or CK&E’s intellectual property team for help identifying or protecting your trademarks. 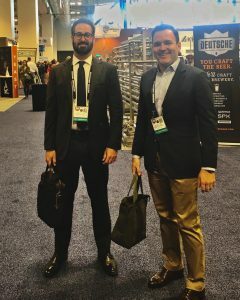 From April 30 to May 3, 2018, attorneys Evan Pitchford and Zach Page of Conkle, Kremer & Engel attended the Brewers Association’s Craft Brewers Conference in Nashville, Tennessee. The Conference, with nearly 15,000 attendees, is the premier trade show, educational, and networking event for the craft brewing industry. At the Conference, Mr. Pitchford and Mr. Page participated in numerous business and legal affairs seminars and conferred with brewery operators and executives, suppliers, attorneys, accountants, and consultants from California and across the country. While the main theme of the Conference was solidarity and cooperation between independent craft brewers and their networks, prominent legal and business issues discussed among attendees often focused on the increasingly crowded space of the craft beer market. This increasing competition has resulted in intellectual property conflicts and disputes (for example, regarding trademarks for brewery names or branding for particular beers) that craft brewers need to plan around when starting their business and expanding their portfolios. CK&E has attorneys like Mr. 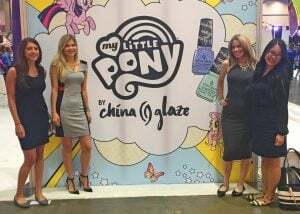 Page and Mr. Pitchford who are experienced in assisting clients in selecting, registering, and enforcing trademarks and trade dress in many consumer product industries. Another hot business topic concerned distribution models for small breweries. In several states (including California), self-distribution is available for small breweries (California allows for self-distribution regardless of volume), but as our previous blog noted, oftentimes a small brewery reaches a point where it cannot handle its own distribution and must seek out a distributor. And, of course, in many other states, self-distribution is not permitted at all, necessitating the involvement of a distributor when a brewery wishes to sell draught beer or package their products. Many small breweries are concerned not only with the myriad choices of distributors, but also with finding a distributor that is the right fit and will actively promote their portfolio, and with the often restrictive laws that are involved in manufacturer-distribution relationships. Breweries should certainly be choosy about their distributors when possible, and in many jurisdictions there are an array of potential contractual provisions (for example, regarding sales goals, chain vs. independent accounts or other account stratification, marketing, plans for brand growth, audits, etc.) that can help shape a distributor relationship before it starts. It pays to consider and discuss as many contractual parameters as possible before signing a distribution agreement. Additional hot topics at the Craft Brewers Conference included new Tax and Trade Bureau funding for enforcement, government regulations of taprooms and brewpubs, off-premise sales, and licenses for short-term out-of-state sales (e.g. for festivals or competitions). As the craft brewing industry continues to grow in footprint and sophistication, look for business and legal issues to be pushed even further to the forefront of the discussion. Contact Conkle, Kremer & Engel for assistance with your brewery business or distribution needs. 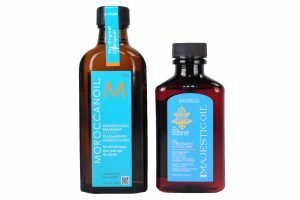 In September 2016, Conkle, Kremer & Engel attorneys filed a case on behalf of Moroccanoil against Zotos International, Inc. for trademark infringement by its “Majestic Oil” products. Just four months later, CK&E obtained a Preliminary Injunction against Zotos’ competing products, and within days the case was over. A Preliminary Injunction is a powerful litigation tool that can immediately stop a defendant from selling products during the litigation. Securing a Preliminary Injunction at the beginning of the case often brings a prompt settlement, as the defendant must decide whether to settle or to fight over the product packaging that it cannot sell. Getting a Preliminary Injunction can be challenging because the plaintiff must show that it is likely to win the case, and that it will be irreparably harmed if the defendant’s products are allowed in the market while the case proceeds to trial. Recently, courts have made Preliminary Injunctions tougher to get by raising the standards for showing irreparable harm. 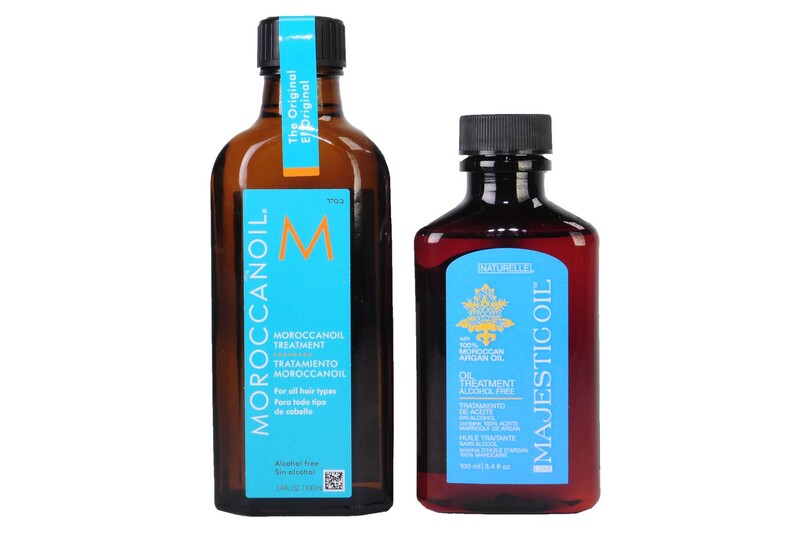 In Moroccanoil’s case, the Preliminary Injunction prohibited Zotos from selling its Majestic Oil products in packaging that was confusingly similar to Moroccanoil’s distinctive trade dress. Zotos is a subsidiary of Shiseido America. 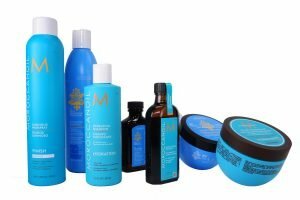 Drawing on its knowledge of the beauty industry, CK&E’s presentation of irreparable harm to Moroccanoil’s reputation proved effective – the Court found that continued sales of Majestic Oil products would erode Moroccanoil’s premium position in the hair care market as a professional brand. The Court’s Order granting Moroccanoil’s Motion for Preliminary Injunction is available here, and is published at Moroccanoil, Inc. v. Zotos Int’l, Inc., 230 F. Supp. 3d 1161 (USDC C.D. Cal. 2017). 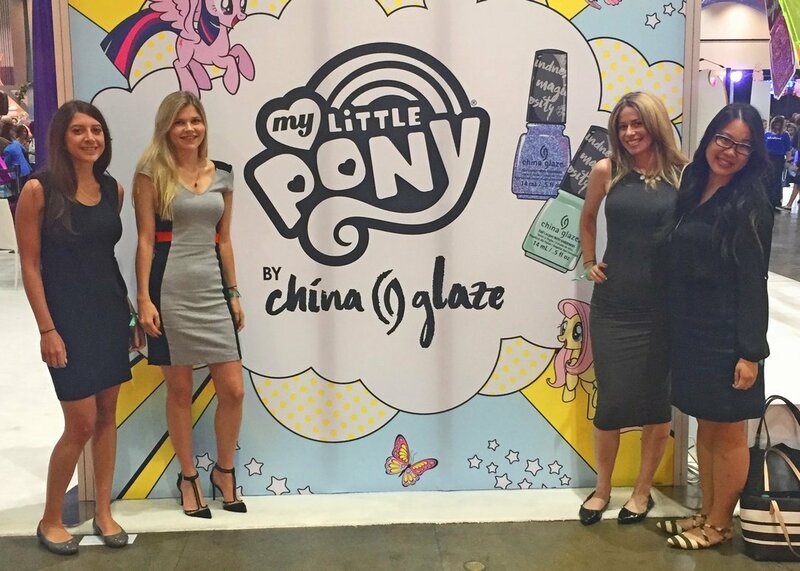 On the heels of the Preliminary Injunction, the parties settled the case with Zotos agreeing to pay a substantial portion of Moroccanoil’s attorneys’ fees and to drop the confusingly similar trade dress of the Majestic Oil products. In total, the case was fully resolved within 6 months of filing, and the only litigation activity was CK&E’s Motion for the Preliminary Injunction. To learn more about the case, contact the CK&E attorneys who lead the team for Moroccanoil, Mark Kremer, Evan Pitchford and Zachary Page.